Food and wine, is there a better combination? 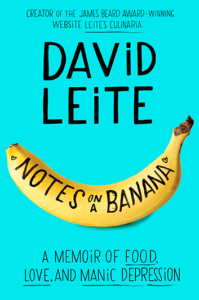 The Halli Casser-Jayne Show brings you from the world of food two time James Beard Award-winner David Leite the founder of the popular website Leite’s Culinaria and now the author of a brave and moving memoir, NOTES ON A BANANA: his story of food, love and manic depression. 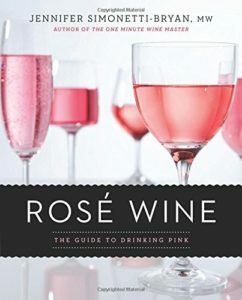 And also joining Halli at her table is wine maven Jennifer Simonetti-Bryan to talk about the new Rosé revolution going on the subject of her fun, informative book ROSE WINE: THE GUIDE TO DRINKING PINK. David Leite has tackled everything from chocolate chip cookies to fried clams, from the foods of Portugal to the tribulations of being a super taster—for print, radio, and television. In 1999, he founded the website Leite’s Culinaria, and in 2006 he had the distinction of being the first winner ever of a James Beard Award for a website, a feat he repeated in 2007. A regular correspondent and guest host on NPR’s “The Splendid Table,” David is out with a brave and moving memoir, NOTES ON A BANANA: his story of food, love and manic depression, a story riff with exhilarating highs and shattering lows of his life, peppered with David’s trademark sense of humor. Rosés have long been the Rodney Dangerfield’s of wine. They have gotten no respect. But according to wine maven Jennifer Simonetti-Bryan, forget your grandmother’s blush. There is a Rosé revolution going on and Simonetti-Bryan tells all in her new fun, informative book ROSÉ WINE: THE GUIDE TO DRINKING PINK. Move over dark red wines, Simonetti-Bryan rejoices. It’s time for some Rosé! Jennifer Simonetti-Bryan, MW, comes with her bonafides. She is the fourth woman in America to qualify as a master of wine, the world’s top wine credential. She has appeared on the Today Show, The Anderson Cooper Show, Fox & Friends, Fox Business, Fox News, Bloomberg, ABC, CBS, and NBC; on Sirius XM, Martha Stewart, Bloomberg and in print Fortune, Oprah, and Wine Enthusiast. Food and wine, memoir, Julia Child, Rosé wine, depression, gay rights, bipolar disorder, Halli brings it all together, on The Halli Casser-Jayne Show, the podcast posted at 3 pm ET at Halli Casser-Jayne dot com.